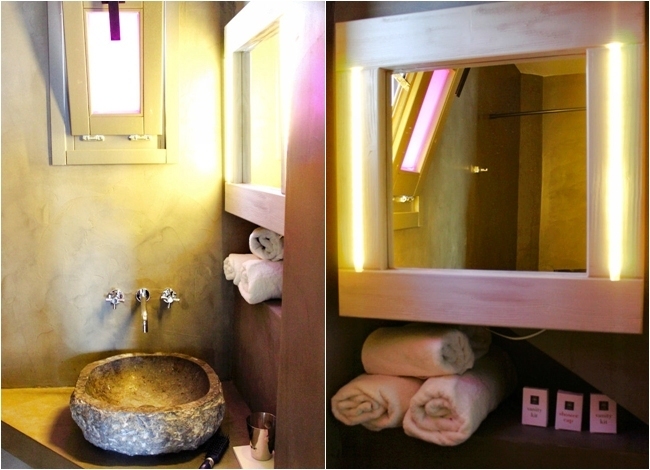 From the room where are the sofa and the closet, you enter a small bathroom that has a modern look with a gray colored walls and pink light reflections. Iz prostorije gde su sofa i orman ulazi se u malo kupatilo modernog izgleda sa sivkasto obojenim zidovima i pink svetlosnim odsjajima. Super cool decor... and what a view!